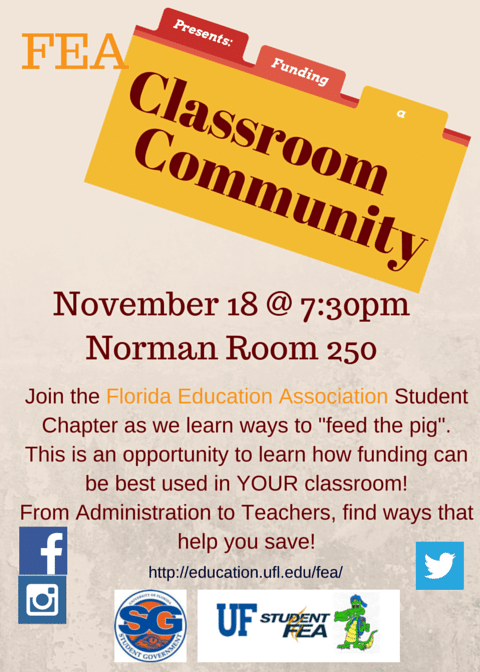 FEA will be holding it’s 3rd workshop of the semester on Wednesday, November 18th at 7:30pm in Norman Hall Room 250. We are pleased to be hosting teachers and administrators from around the area, as they share tips and tricks on how to “feed the pig” in funding YOUR classroom. We look forward to seeing you there! The Master of Science in Management (MSM) program is designed specifically for students from non-business majors. MSM students gain a solid business foundation and strengthen transferable skills to open up advancement opportunities within their undergraduate major field or business sector. The program offers traditional, combined (bachelor’s/master’s) and dual degree (master’s/PhD) options. MSM combined (bachelor’s/master’s) students can save time and money by “double counting” credits between the bachelor and master degrees. From 6-7 pm: Session for ALL program options (traditional, combined and dual degree). Learn about the MSM program, admissions process and meet current students. From 7-8 pm: Learn how the combined (bachelor’s/master’s) option works and create a tentative “combined” academic plan with the help of MSM advisors. For more information, visit Warrington.ufl.edu/MSM or email us at msm@warrington.ufl.edu. Please join SAGE for a much needed study break on December 6 from 4:00-6:00pm at First Magnitude Brewery. SAGE will provide the snacks and soda, but the beer is on you. All graduate students in (and friends of) the College of Education are welcome. For more information, find us on Facebook: https://www.facebook.com/events/1646001949008845/. If you have any questions or would like to make a monetary donation, please contact Jennifer Wrighton at jwrighton@coe.ufl.edu or stop by 140 Norman. We will do your shopping for you or you can make a check payable to “Toys for Tots”. Thanks in advance for your contribution. Open to all UF Undergraduate Researchers! 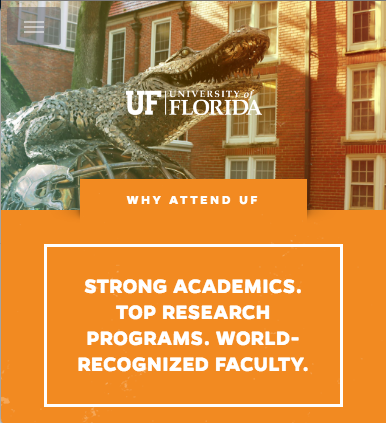 The Florida Undergraduate Research Conference (FURC) is one of the nation’s largest multi-disciplinary research conferences. It is an annual event open to all undergraduate researchers in the state of Florida to present their research in a poster forum. For further details, click here. America Reads is currently hiring for the Spring semester! The America Reads Program is currently seeking UF students to tutor elementary and middle school children at area schools and after school programs in reading. Applicants must have Federal Work Study as part of their financial aid package and must be available for at least six hours per week. 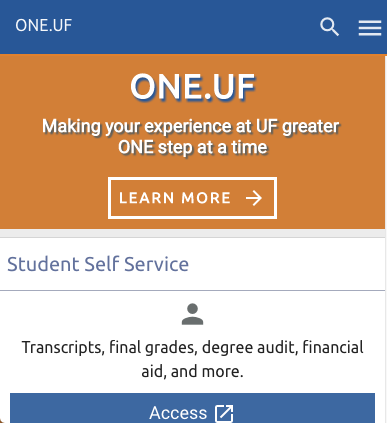 To apply go to https://education.ufl.edu/america-reads/employment/. Applications due Tuesday, November 24, 2015. School Psychology Gratitude Works Program! As part of School Psychology Awareness week (November 9th-13th) and in combination with NASP’s Gratitude Works Program, we would like you to join our efforts to promote school’s resilience, optimism, and academic success by helping others see the possibilities in themselves and others. The program is being rolled out in schools across the country during National School Psychology Awareness Week. Helping schools focus on strengthening positive relationships and increasing positive experiences is beneficial to both students’ well-being and increasing positive school climate. It’s Your Turn to Connect the Dots! We would like to encourage you to show your gratitude for others. Please continue connecting the dots, by sending 3 cards showing your appreciation for all their hard work, (peers, students, professors, teachers, and community members around Gainesville. If you would like more information contact: Rfconcepc@ufl.edu. GatorNights will host an Around the World in 240 Minutes themed event on Friday, November 13 from 8:00pm-1:00am at the Reitz Union. This event was created in collaboration with the Common Reading Program and the book Double Take. The event will feature a Snowboard Simulator, Stuff-a-Polar Bear, and collaborations with multiple multi-cultural student organizations. The event will also feature two showings of the movie The Man from U.N.C.L.E at 8:00pm and 10:45pm in the Reitz Union Auditorium. The night will end with free pizza during Midnight Munchies. 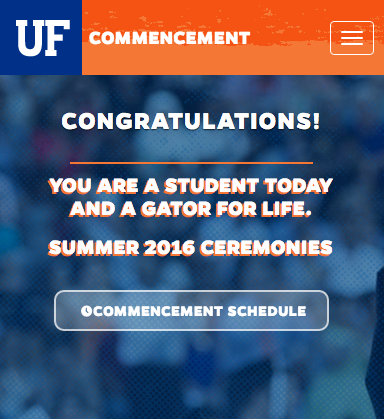 This event is free for UF students with their Gator 1 card. Attendees must be current students to participate. Students are allowed to bring a maximum of one guest to the event. For more information, visit https://www.union.ufl.edu/ProgramsArtsLeisure/GatorNights. On Friday, November 20th, Dr. Edwin W. Martin will be visiting the COE to commemorate the 40th Anniversary of the Education for All Handicapped Children Act​, now called the Individuals with Disabilities Education Improvement Act (IDEA). He will share his perspectives on the history, key issues and players, and lessons learned from his experiences that have relevance to the present and the future at a lunch time colloquium in the Dean’s Conference Room from 11:30am-1pm. It promises to be an interesting session! Please RSVP by Nov 13th to Lynette Beacher (lynetter@coe.ufl.edu). We are anticipating 300 educators from around the state of Florida to come together in the name of global education and global citizenry. In partnership with several University of Florida area studies centers, we are confident that this conference, Raising Global Awareness in Florida Classrooms, will inspire educators to create global citizens in their classrooms. To reserve your spot, submit this form. 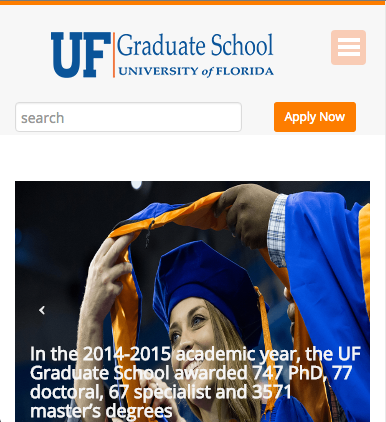 Ensuring that research projects on human subjects are approved under the Institutional Review Board (IRB) at UF is an essential element of a research-based graduate degree. Unfortunately, navigating the IRB can sometimes be tricky, and doctoral students don’t always have a complete understanding of the ethical importance of the IRB process. This panel discussion will feature faculty members across the College of Education who have had diverse experiences with the IRB. Participants will discuss why they need IRB for their particular lines of inquiry and will help demystify the process. A question and answer session will follow. As always, there will be snacks! For additional information, please email SAGE’s secretary, Lisa Lundgren at lisa.lundgren@ufl.edu. Please join UF’s Education College Council and College of Education, in partnership with the River Phoenix Center for Peace Building, Peace4Gainesville, Alachua County Public Schools, PACE Center for Girls, UF’s Center for the Study of Race and Race Relations, Center on Children and Families, The Bob Graham Center, and Florida Society for the Social Sciences for a screening of the James Redford film Paper Tigers. The event will take place on Monday, November 16 from 6:15-9:15pm in the New Physics Building, Room 1002. A complimentary pizza dinner will be offered before the film and a panel discussion on how to build a trauma responsive community in Gainesville will follow. For more details check out our Facebook event: https://www.facebook.com/events/125670147790107. Florida Alternative Breaks (FAB) 2015-2016 trip registration has opened! FAB is a UF student lead service organization housed in the Center for Leadership and Service and offers experiential-education based service trips that are open to all University of Florida students. This year, FAB is offering 17 Alternative Break trip. Each trip focuses on one social issue and provides cultural and historical education as well as the opportunity to engage first hand with the social issue and contribute to change efforts. As we get closer to the Fall Instructional Job Fair, we have added several door prizes including an iPad Mini and tickets to a Tampa Bay Buccaneer’s game! In order for attendees to be eligible they must pre-register. See flyer for registration information. Immediate job opportunities in Pinellas County Schools for Fall 2015 graduates in Elementary Education, Exceptional Student Education, Science, and Math. Please see flyer for more details. Seeking a research assistant to assist professor in qualitative analysis, manuscript development, literature searches, and related duties. The position includes tuition reimbursement for fall, spring and summer and stipend of $8700 annually. This position starts in January 2016. It includes a 10-hour per week commitment at the health science center, the potential to present at conferences, or co-author papers. Here at The Center for Leadership and Service, we like to foster the leadership development of each student through the importance of service to others. That being said, there are a few upcoming events, opportunities, and updates that the CLS would like to share. If you are interested in these opportunities and have the drive to make a real difference in the world, please visit http://www.leadershipandservice.ufl.edu.
. Duties include transportation from school to home or activities and overseeing homework. Sweet 9-year-old twin girls. Must have car and/or bike. Please email resume and references to mkoidinjaffee@riseup.net.